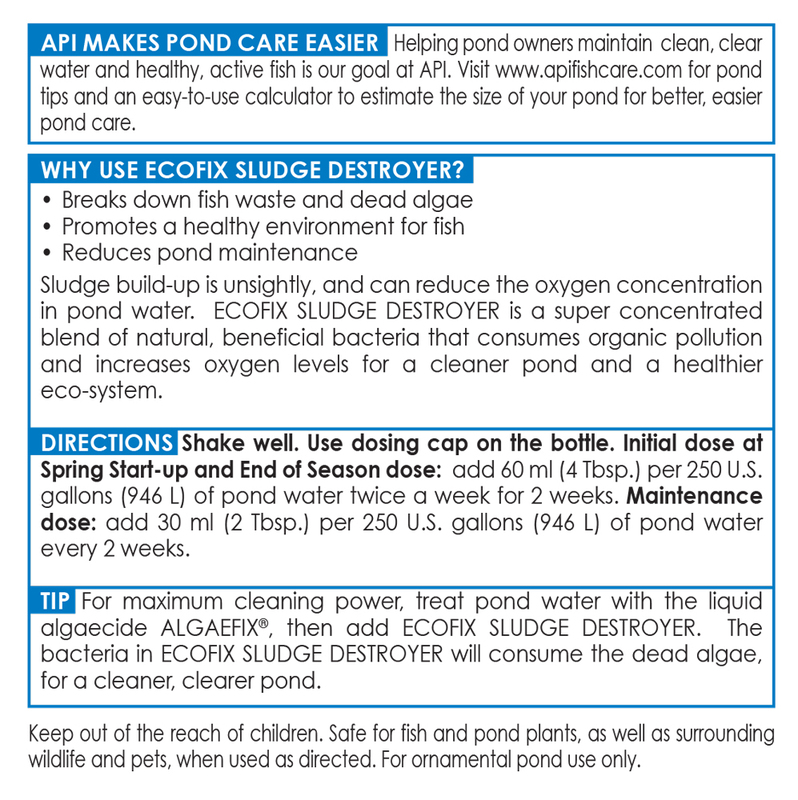 Increasing the biological action in your pond will result in a cleaner, clearer and safer pond. 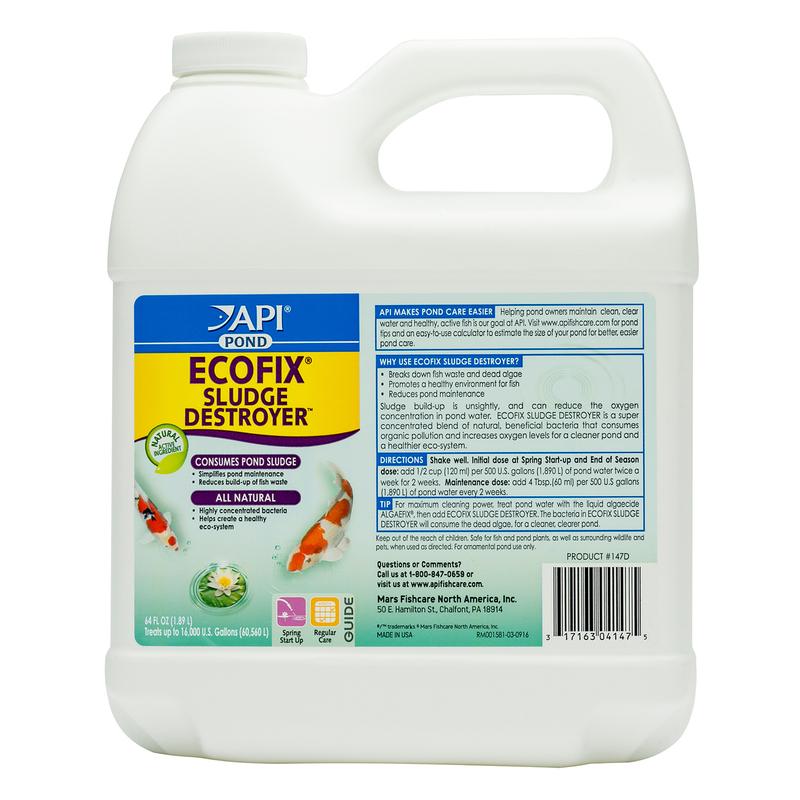 Using Pond Care Eco-Fix on a regular basis will increase the biological action in your pond resulting in increased oxygenation, reduced sludge build up and a cleaner and clearer pond resulting in a healthy ecosystem for your pond fish. 64 oz treats 16,000 gal. 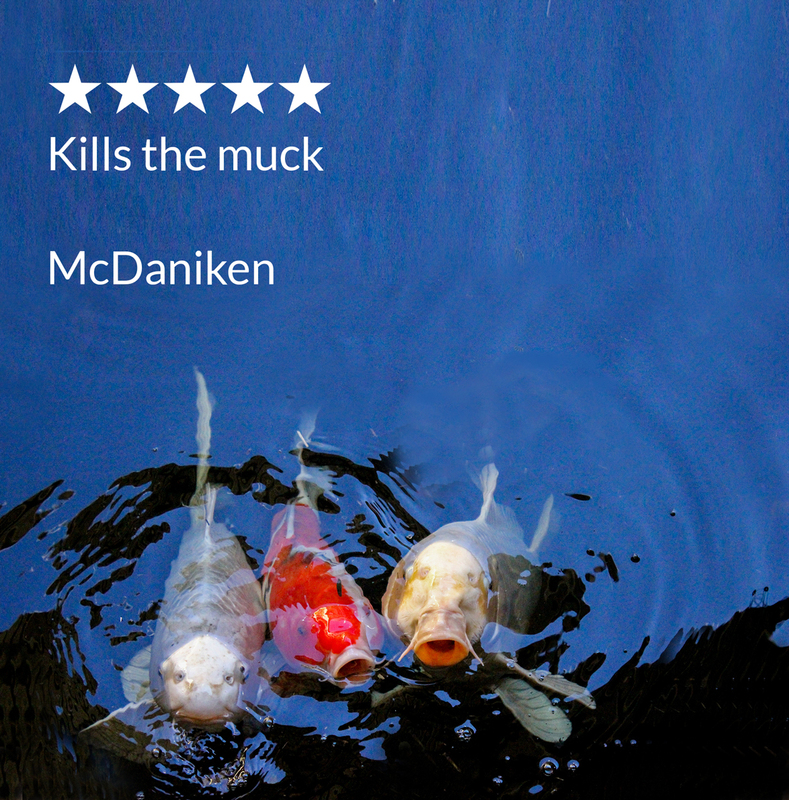 Can be used in ponds containing salt.